Former Vice President and Current PDP Presidential Candidate, Atiku Abubakar has reacted to a recent allegation levelled against him by the Federal Government, NairaNaijaNews has learned. 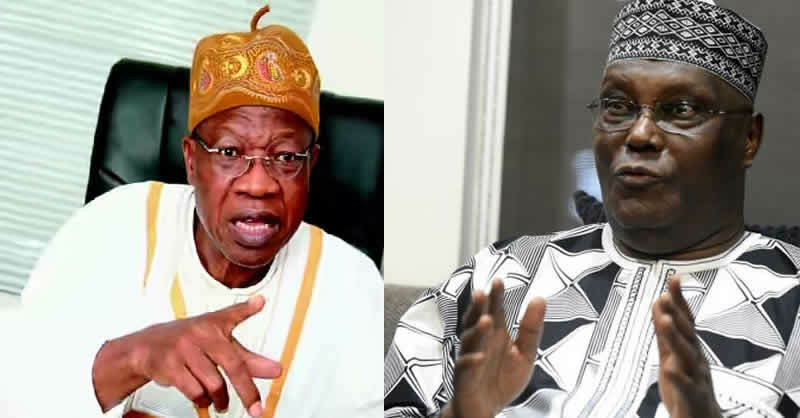 On Friday, Nigeria's Minister of Information, Lai Mohammed revealed that Atiku had a case to answer upon his return to Nigeria over the collapse of Platinum Habib Bank also known as Bank PHB. Reacting to the development, Atiku in a statement issued on the same day dismissed Mohammed's comments as a 'rooster and Bull Story". ”It is instructive to note that, the same BankPHB is now Keystone bank which was said to have been acquired Buhari’s cronies through AMCON last year,” Atiku said.